For more information about the Mobile Access Blade, refer to R77 versions Mobile Access Administration Guide. Wireless devices are all over. People are working from home or on the road. People want access from any type of device. What Mobile Access Blade does? Enables using resources from an organization's internal network. Only a browser is required on the client side. Traffic from the client to Mobile Access Blade gateway is encrypted (using SSL, not IPSec). Some features require a thin client (either ActiveX or Java applet) which is deployed automatically (on demand). Smartphones can access with dedicated application without establishing VPN tunnel. This feature adds support for Reverse Proxy for standard Web Applications on your servers, using Mobile Access. Reverse Proxy users browse to an address (URL) that is resolved to the Mobile Access Gateway's IP address. 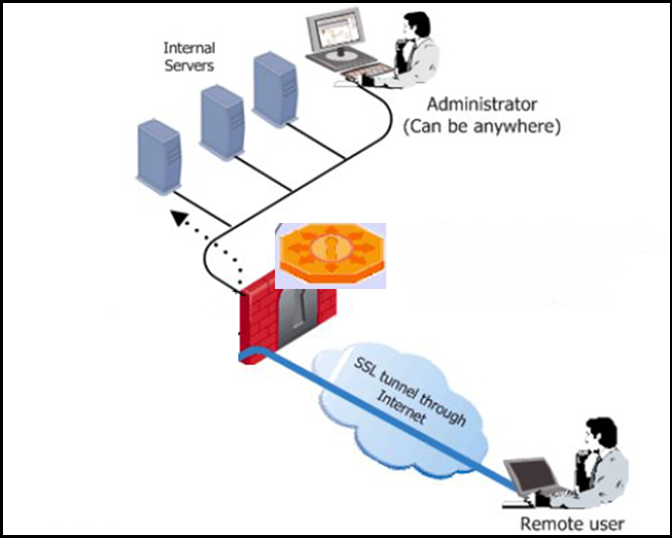 Then, the Mobile Access Gateway passes the request to an internal server, according to the Reverse Proxy rules. Administrator controls the security level (HTTP or HTTPS) of connections between users and resources. Mobile Access, in the R80.10 release, supports both Legacy Policy (as in R77.30 and below) and Unified Policy. By default, the Mobile Access blade is set to Legacy Policy. 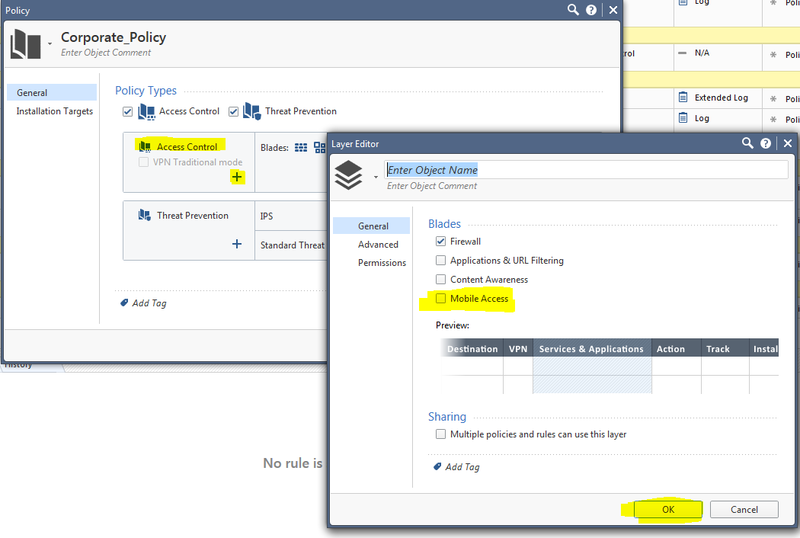 The Administrator can switch to Unified Policy (requires policy install). For more detailed Troubleshooting information, refer to the Troubleshooting section of this document. When you include Mobile Access in the Unified Policy, you configure all rules related to the Mobile Access portal, Capsule Workspace, and on-demand clients in the Access Control Policy. Apply to all Mobile Access gateways, or some of them. Now you can apply to one or more Mobile Access clients, such as the Mobile Access portal or Capsule Workspace. Mobile Access features such as Protection Levels, Secure Workspace, and Endpoint Compliance also apply. Note that when you use the Unified Access Policy, some Mobile Access features and settings are still configured in the 'SmartDashboard > Mobile Access tab'. For more extensive information about this feature, refer to the "Mobile Access and the Unified Access Policy" section in the Mobile Access R80.10 Administration Guide. Capsule Workspace App Wrapping leverages Capsule Workspace and extends it to offer 3rd party apps in a security container that provides multi security layers and access for both iOS and Android apps. For more detailed information, refer to sk111558 - Capsule Workspace App Wrapping. In the simplest Mobile Access deployment, one Mobile Access enabled Security Gateway inspects all traffic, including all Mobile Access traffic. IPS and Anti-Virus can be active on all traffic as well. The Security Gateway can be on the network perimeter. This is the recommended deployment. It is also the least expensive and easiest to configure, as it only requires one gateway machine for easy and secure remote access. A reverse proxy appears to the client just like an ordinary web server. No special configuration on the client is necessary. Link Translation is the process by which Mobile Access converts internal URLs to public URLs that are valid on the Internet, so that internal resources become accessible via any Internet-connected browser. URL Translation (UT) the original link translation method, maintained for backward compatibility. A file share defines a collection of files, made available across the network by means of a protocol, such as SMB for Windows, that enables actions on files, including opening, reading, writing and deleting files across the network. Mobile Access supports built-in Web mail. Web mail provides a simple way for remote users, through a web browser interface, to access their email. Employees can access their email from any computer that has access to the Internet, such as a computer in a library, or Internet cafe. There is no need to install special email or remote access software. This is helpful for employees who work outside the office on a regular basis. Mobile Access provides a Web front-end for any email application that uses the IMAP protocol for incoming mail, and SMTP for outgoing mail. E-mail stored on the IMAP server is manipulated through the browser interface without having to transfer the messages back and forth. Users can connect to several mail servers depending on their authorization. 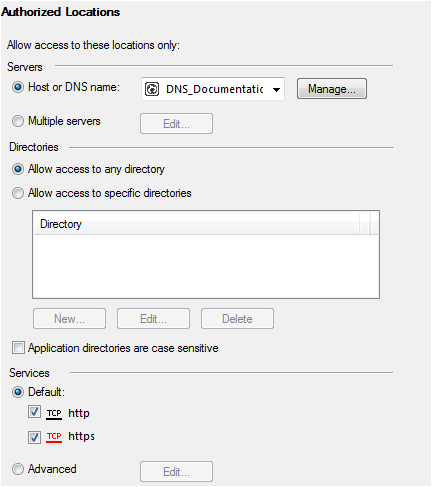 Native applications that you access with SSL Network Extender can use Single Sign-On (SSO) functionality. With SSO support, users connect automatically to native applications that require login. The native application gets the Mobile Access portal login username and password parameters from the internal server. This feature is supported in R77.20 and higher. It requires a SSL Network Extender client upgrade. Mobile Access, in the R80.10 release, supports both Legacy Policy (as in R77.30 and below and Unified Policy). You cannot migrate Legacy Policy (i.e. Mobile Access rules) to the Unified Policy. The Administrator needs to create the rules manually. The same Mobile Access applications that were used in Legacy Policy can and should be used in Unified Policy. For information on the use of Access Roles and client type in the Access Role, refer to the Access Roles for Remote Access section in the Mobile Access R80.10 Administration Guide. For best practice on how to define Mobile Access rules, refer to the Best Practices for Rules section in the Mobile Access R80.10 Administration Guide. 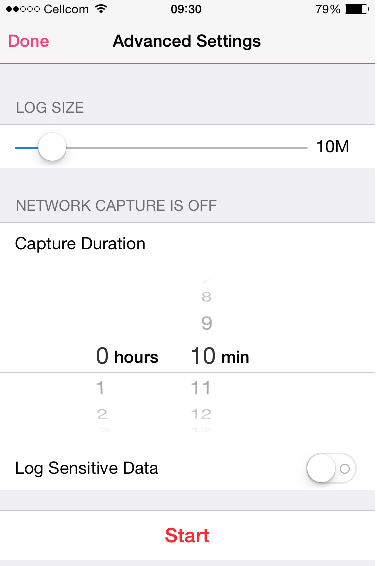 Filtering using 'blade:"Mobile Access"', will match such logs if SmartLog indexing is enabled. (In Standalone installation, SmartLog indexing is disabled, by default). First check out for any recent configuration changes that may have caused the MAB portal not to respond. Look up SmartView Tracker log for any related logs. Check under the 'Portal settings' tab that the gateway has the expected certificate configured. 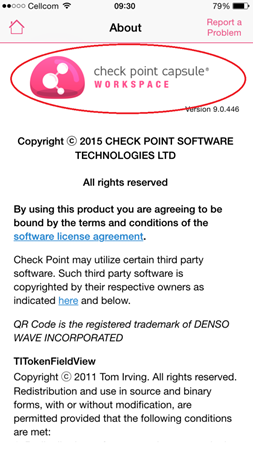 If you get the wrong certificate, check in other portals, as we only use one certificate on a given IP address. Note that "All portals on the same IP address use the same certificate" (see sk94965). Try to figure out whether SSL handshake was established (look for the certificate in the address bar, or use Wireshark and look for client_hello and server_hello). Check VPND debugs, as described in the section "Debug Procedures" - "Debugging the Gateway side" - "vpnd process"
Check MPDAEMON the 'matching component' that is also responsible for launching HTTPD (its parent process) - see sk87920. Mistake in realm configuration: if there is a problem, cvpnd is not starting and MAB portal is not accessible, log line in $CVPNDIR/log/cvpnd.elg (Failed to init cvpnauth). Check $FWDIR/database/authentication_objects.C (which contains the realms configuration). Additional realm was configured but is not shown to the users in the portal (no drop down list/drop down without the new realm). 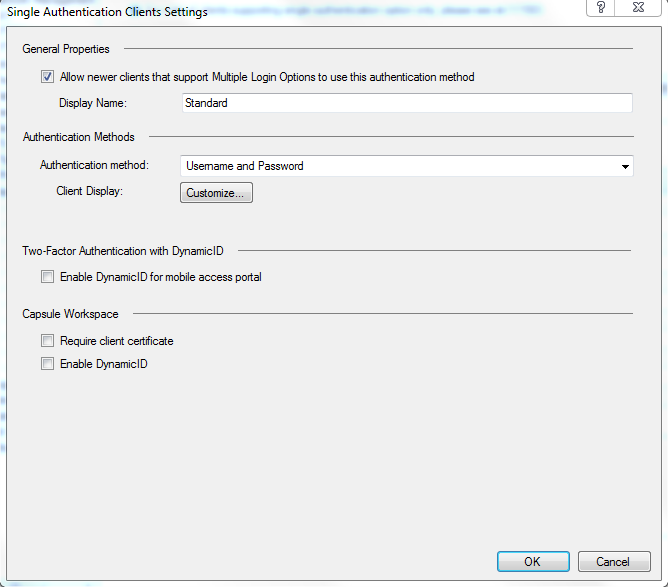 In addition, you can (and should) use the Multiple Authentication Option configuration. User Look and feel in the Mobile Access Portal, configured with Multiple Login options. 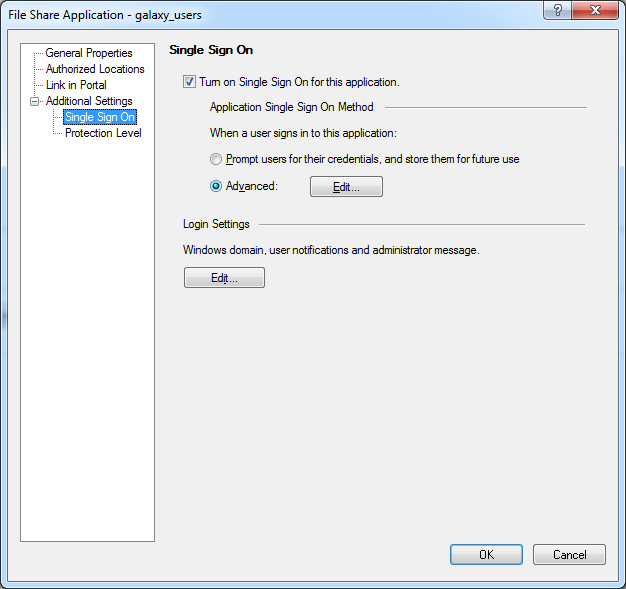 R80.10 gateway can prevent Single Authentication clients (i.e. clients not listed in sk111583), from accessing the gateway. 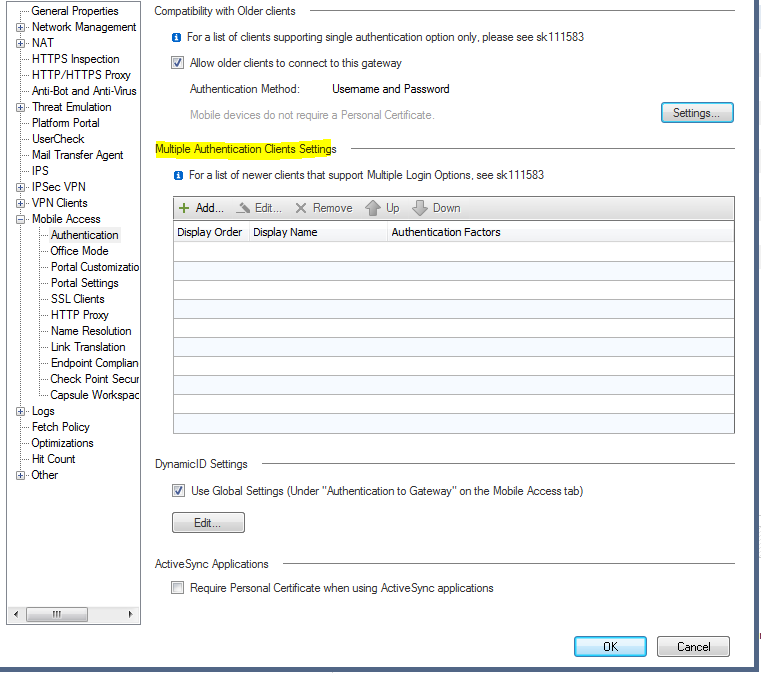 R80.10 gateway can prevent authentication done using Single Authentication configuration. 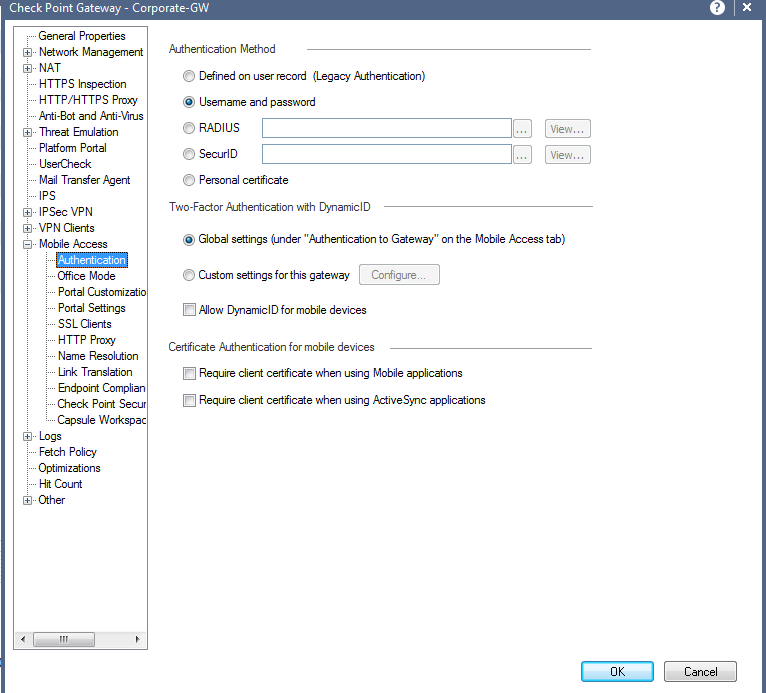 Proxy configuration for DynamicID authentication is now defined in the Gateway's proxy configuration, instead of the Mobile Access Proxy configuration. 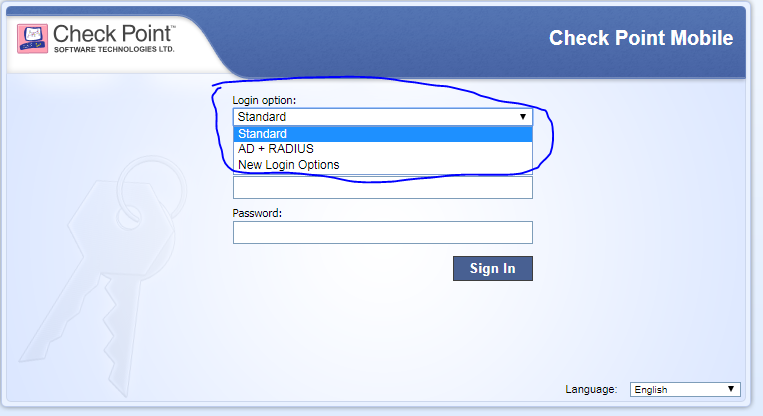 For more information on Multiple Login Options for R80.x Gateways, refer to the Multiple Login Options for R80.x Gateways section in the Mobile Access R80.10 Administration Guide. Might be indicated by log in $CVPNDIR/log/cvpnd.elg / capture of traffic. Make sure that in Security Gateway properties > Other > User directory everything is configured properly. User will get "Wrong user name or password" / "Certificate authentication failed"
Admin should know which identifier his directory is expecting to get. Symptom: user is not allowed to a specific resource (application link is not shown in the portal) / user get "User is not authorized" after login. Keep in mind, if user was added/removed to/from a group after login, it will take affect only after next login (Known limitation). Check that account is not locked (in the directory). Make sure that other users can login. Make sure user is not expired and time is allowed (on the user record, mostly for internal users also relevant from templates or generic*). $CVPNDIR/log/cvpnd.elg might contain details if this is not a problem with the credentials (such as expiration). CRL is not available (might happen 24 hours after the problem started) - should be stated in SmartView Tracker Log. External CA: make sure there is no firewall in the middle that blocks the traffic. Using the "wrong" info from the certificate. Refer to the "Troubleshooting Topic: Cannot access Mobile Access portal" - section "Authentication fails due to:" - subsection "User record lookup". Password remediation require LDAPs should be configured on the Account unit (LDAP server properties -> Encryption -> Use Encryption (SSL). Server might not be trusted: wrong fingerprint. Kerberos is an authentication method that is used to identify the user in front of the internal servers. Kerberos creates a ticket which it uses to authenticate the user instead of using credentials. Inside the ticket, the user name, allowed servers and amount of time for which the ticket is active are listed. In order to create a Kerberos ticket, Mobile Access Blade uses the portal credentials (user name and password).THis is done in order to create the ticket and to authenticate to the internal server. When a user logs in to Mobile Access Blade without user name and password, e.g. with a certificate. Kerberos Constrained Delegation (KCD) is used. KCD allows you to create tickets for other users based on a delegate ticket which was created from credentials that are allowed. See if there is a Kerberos Constrained Delegation failure entry in SmartView Tracker or SmartLog. Under Mobile Access logs and run cvpnrestart on the Security Gateway through SSH. Creating a Kerberos ticket for the delegate user (that was configured previously). Run the command on the Security Gateway "klist $CVPNDIR/tmp/krbcc/krbtgt_*", where krbtgt_* is the prefix of the file and see that the ticket contains information such as date and user name. If the ticket does not contain information, please check your AD and SmartDashboard configuration again. Creating a ticket for the end user. Run the command on the Security Gateway "klist $CVPNDIR/tmp/krbcc/krbcc_*", where krbcc_* is the prefix of the file and see that the ticket contains information such as date and user name. Kerberos relies on symmetric key cryptography and requires a trusted third party, and may use public-key cryptography during certain phases of authentication. Kerberos uses UDP port 88 by default. Please validate to open UDP port 88 between the gateway and the relevant machines. Change the value of EnableKCDDebug from "false" to "true"
The Kerberos Constrained Delegation user must be configured on the Account Unit object in SmartDashboard - no UI is available. For a discussion of the limitation of both MAB and gateway as proxy, see sk110013. 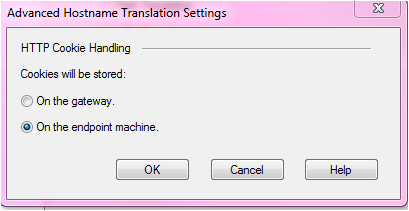 See description of Link Translation in the section "Process Flow Diagrams and Description" above. For detailed information about configuration of LT method per Security Gateway and per application, refer to R77 versions Mobile Access Administration Guide. Check Client-to-Server communication without Mobile Access Blade - is it working? When find wrong LT value, then we need to search which rule causes the problem. After finding the rule, understand why we had a match on the original text. Compare the behavior of the server with Mobile Access Blade, and without Mobile Access Blade using Fiddler. When troubleshooting PT issues, you need to understand PT Substitute.features.conf file. You need to understand how to use and read Apache regular expressions. in the $CVPNDIR/conf/httpd.conf file and running the "cvpnd_admin policy" command. This is especially helpful for UT and HT. User is asked for credentials over and over. Receiving portal error 401 - Unauthorized (this might be SSO issue too). Collect trace log from the Security Gateway, and Fiddler capture of this Web App without Mobile Access Blade. Check that on the Fiddler requests (no Mobile Access Blade) there is a cookie sent to the server on the request header "Cookie". A cookie should also appear in the parallel trace log requests to the internal server. If you cannot see the cookie in the trace log, then this is causing the unauthorized response from the server. If this Web App is configured with PT, try using HT, since cookie handling in HT is different. 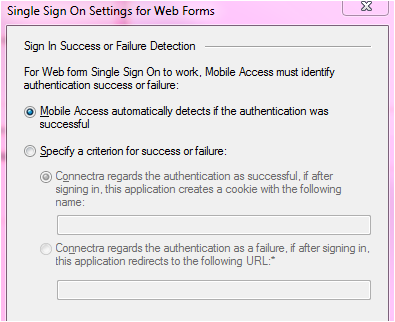 Send Mobile Access Logs to Check Point Support. User cannot see a link that he should be allowed to see. User receives an "Unauthorized" message when accessing an app. Configuration issue: Check that one of this user's user groups is mapped in the Mobile Access Blade policy to that specific application. 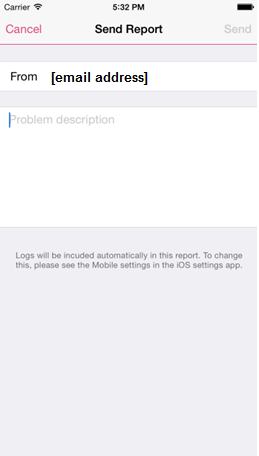 Check in SmartView Tracker under Mobile Access logs for this user's unauthorized log. The message there might help. (For example: DNS Resolving issue, Certificate problem). 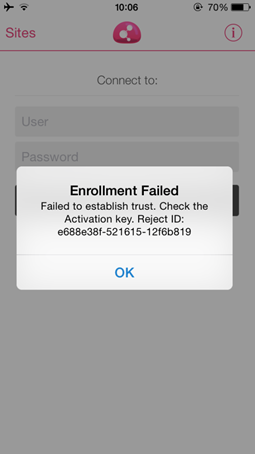 An app that should have SSO is prompting for credentials (SSO not working). Check if the problematic app host name, is also the host name in another web app. Check if this problem is reproducing for all users or for a specific user. If you need both apps, try not to have them both for the same users. If you need 2 applications with the same exact "Authorized Locations". you should unite them to one app. One with "Directories" : "/example1", and the other web app with : "/example2". Broken web app on one browser (usually IE is more problematic). For example: either received Blank page for web app, or web app not displayed correctly. Try to reproduce the issue on other browsers. See if this web app works fine on the problematic browser without Mobile Access Blade, to check if this is a Mobile Access Blade issue or not. After commenting out, run cvpnd_admin policy command. If this is a mobile computability issue, try using this web app on any mobile browser and see computability. Clear browser cache and send Mobile Access logs to Check Point Support (with Fiddler also). POST requests are failing (timeout / error 500). Usually this happens in file uploads flow. Test Fiddler without Mobile Access Blade, and compare it with trace log with Mobile Access Blade, and file the problematic upload request (in both). Check if there is informative info on the response (example: missing cookie, not completed). Is the Problematic POST request received from the browser with the header "Transfer-Encoding" "chunked" ? What is the "Content-length"? NOTE: If it is "chunked" with "content-length 0", there was a bug recently discovered, where this type of request causes libcurl to not set an upload size. Servers may react differently to this. Example for "chunked" issue: without Mobile Access Blade - the request is chunked, with Mobile Access Blade request is not chunked (The Security Gateway changed it). Maybe the internal server cannot handle such requests/ did not expect it. In the file $CVPNDIR/conf/includes/Web_inside.location.conf file, try to increase the value of CvpnMaxPostStoredSize (default is "10,000") - maybe try "50,000". See if request without Mobile Access Blade is "chunked" or not. If this is a timeout issue: maybe there is a mismatch between "KeepAliveTimeout" on the Security Gateway and the server. If you know what the "keep alive" of the server is, try increasing the one on the Security Gateway to match it. If regular SSO, make sure the internal server auth protocol is standard, and that the server is returning HTTP error "401". check if this exists or we did not even get here (for example HTTP error "403" - not allowed to get this page). If HTTP error "401" is received from the server, then check that we sent a request again with the header "Authentication" to the internal server. This header should include the credentials somehow (or Kerberos ticket), then check the response. If "200 OK": this means SSO worked, but something else ruined the SSO (see example below). For example: Security Gateway did not pass the "200 OK" to the browser and failed the request. If Security Gateway did not get "200 OK": Check if credentials forwarded are invalid. The server returns on the header "WWW-Authentication" all the supported methods. Check that the Security Gateway is trying one that is supported on the header "Authentication". Options: the server changed its supported authentication methods, but the Security Gateway is still trying to use a cached auth method. SSO success means we get a cookie from the server and "200 OK". If yes, that means something after that caused the problem. If this is a mismatch issue of the authentication method with the server: See sk98215. 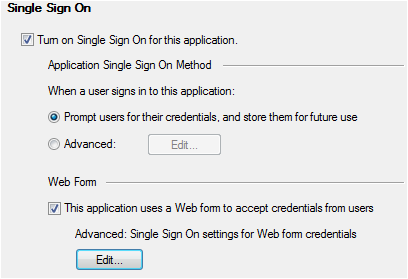 Regular Web Applications configuration but with tagging in the application configuration. Regular Web Applications configuration, but also need steps provided in sk32086 - Is Microsoft SharePoint supported by Mobile Access Blade ?. 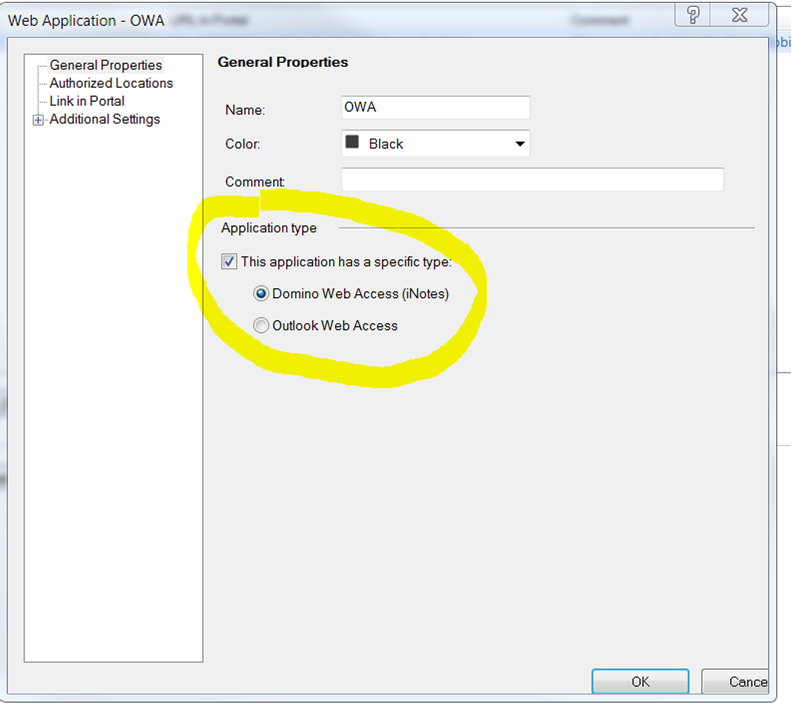 sk32086 - Is Microsoft SharePoint supported by Mobile Access Blade ? 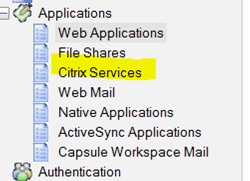 Citrix is configured as Citrix Services: adding a new Citrix application. 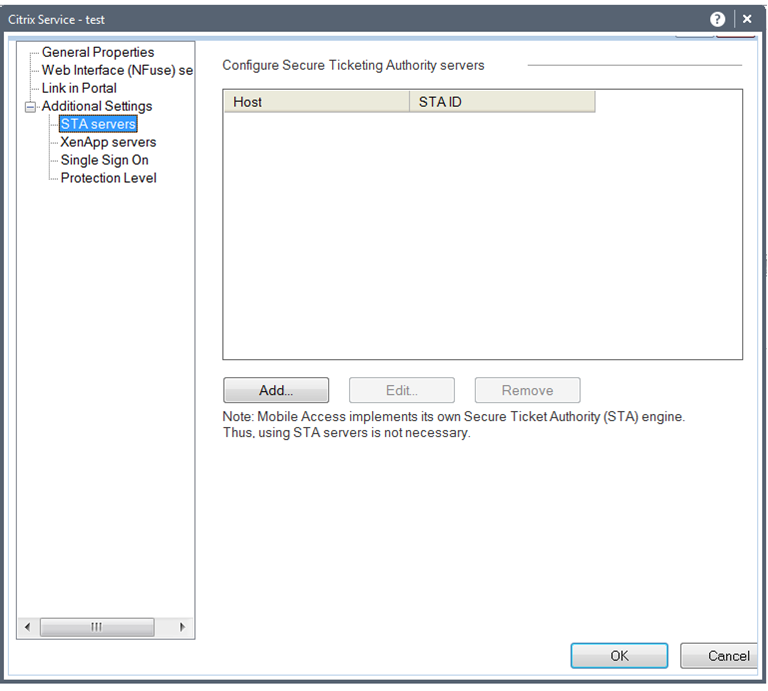 Secure Ticketing authority (STA) servers in Citrix application are the configuration of matching between STA server and ID. When Mobile Access Blade is working side by side with Citrix Access Gateway, the Secure Ticketing Authority should be configured in ordered that Mobile Access Blade will convert the Ticket ID from the ICA file to the Ticketing server. More information can be found in the R77 versions Mobile Access Administration Guide. This kind of issue is usually harder to track, without looking in the code, but if this a configuration issue that caused the httpd to crash with a core dump file - open the file $CVPNDIR/log/httpd.startlog and in the last line you should see a log describing why it failed. Core dump files require code investigations. But try to understand what is causing the crash? Can you reproduce the core? If yes, what is the exact flow (example: web application link causes the crash / adding favorites / ...)? Turn on Mobile Access Blade logs, and try to reproduce the crash with core dump file and logs - send the logs and the core dump files to Check Point Support. If the core dump files are not generated / reproduced, send them with information on how it happened (if you know). Connect to the command line on the Mobile Access Gateway. Enable trace log collection for the relevant user (instructions under "Debugging the Gateway side" in the Debug Procedures section). In the apache_request files, search for the X-CPCVPN-ClientSideTrans header and verify that its value is App. For additional troubleshooting information, refer to sk111558 - Capsule Workspace App Wrapping. Check the $CVPNDIR/log/cvpnd.elg file - look for ERROR. We can see from the log if the problem is configuration, or a problem in the File Shares server. Try to run 'Mount' locally in the shell and it will give us a clue where the problem is. 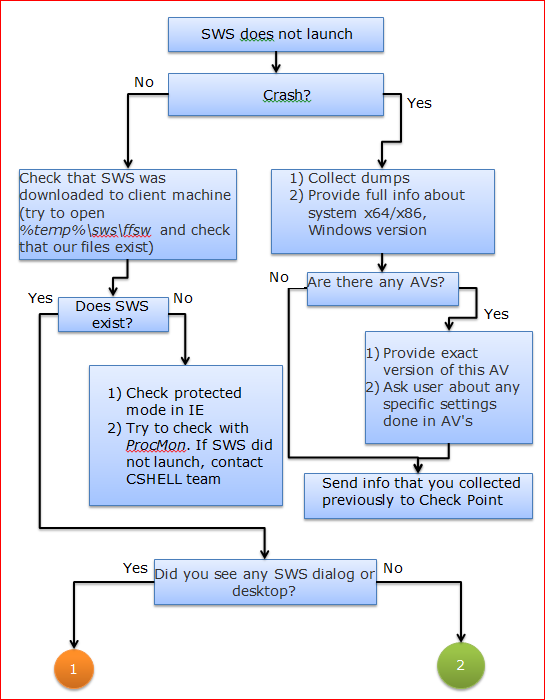 Send Wireshark packet capture to Check Point Support. Check if expected to work with SSO, and if user is prompted to reenter his/her credentials. Check the configuration. Admin might have configured File Share servers we are not supporting, e.g. NTLMv2/SSP. Error will be "server unreachable/no permissions". The server admin should give us details regarding the server. Error: "Access denied. The destination of your request has not been configured, or you do not have authorization to access it. (403) - Check configuration of your host:"
Trace Log error > Mobile Access Category 'File Shares' : The requested destination is not configured for this user's group in the Mobile Access policy. Error: "Access denied. The destination of your request has not been configured, or you do not have authorization to access it. (403)"
Configuration: make sure that the path is not limited, that the path you are trying to reach was included. Error will show that you do not have permissions. There could be an error in the link, and it is not matching the configured path. Admin might have configured DFS links that we are not supporting. The server admin should know if these are DFS links. Use case: User want to report general problem or give feedback. The logs will automatically reach R&D. Tap the (i) button, top right (in login or passcode screen), or bottom right in home screen. About screen is displayed. In the "About" screen, tap "Report a Problem". Use case: User want to send logs to specific person by e-mail. 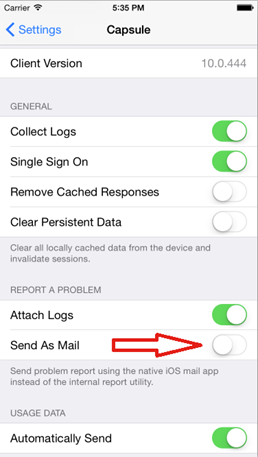 Go to iOS setting > Capsule Workspace > turn on "Send As Mail". Go back to the application. Tap the (i) button, top right (in login or passcode screen), or bottom right in home screen. "About" screen is displayed. In the "About" screen, tap "Report a Problem". Native mail compose screen will open with logs zip file as attachment. Send this mail to the desired e-mail. Use case: The user would like to send traffic logs. Usually instructed by Check Point Support / RnD to do so. Determine the log capacity and the amount of time to capture the traffic values, as instructed by Check Point Support / RnD. Caution: Only turn on "log sensitive data" if certain. It will then contain full traffic body. Be aware that the log may contain e-mail data, passwords, and more. When you finish reproducing your issue, as instructed, proceed to "Send logs by e-mail" (above). 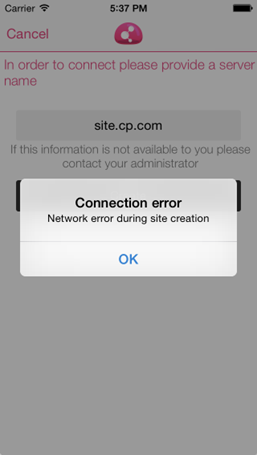 Pop up: Connection error, Network error during site creation. Log: Look for "Site creation error of type" string. Check using native browser to Mobile Access Web Portal. Log: Look for "Entered activation key is not valid" string. Make sure this is not "already used" QR code. Check the reject ID in SmartLog. Can validate the QR format (See sk102796). All web apps are greyed out and disabled. Log: You will see setting site's state from SITE_STATE_CONNECTED to SITE_STATE_CONNECTED_OFFLINE at the relevant time. Make sure that you have connectivity to site. If you have connectivity to site, then contact Check Point Support. Check that Calendar is working and syncing. Check that the user is not locked. Check that the mailbox is not full. Check that Outlook is syncing. If nothing helps so far: Clear Persistent Storage. If nothing helps: Delete and create new site. If nothing helps: Delete and re-install the application. If nothing helps: Contact Check Point Support. Are we talking about push notifications or also in-app pull to refresh? Check in the app settings that "Push Notifications" is on, and if unavailable that the policy allows it. Check in iOS 'Settings' > 'Capsule' > 'Notifications' that the OS allows notifications. Check logs for lines with the "PUSH::" prefix for possible errors. iOS Settings > Push notifications. iOS Settings > Capsule > app background. Narrow the sync window (Gateway or Client). Consider performing "Clear Persistent Storage" (iOS Settings/General Settings). Check performance for the same user on another device. Additional client that can connect to the Mobile Access SSL VPN portal in addition to browser and capsule. Provides secure mail through the mobile device native mail client. Configuration is with ActiveSync application (see R77 versions Mobile Access Administration Guide). Once you click on ActiveSync configuration in Check Point Capsule, a new window will open and the ActiveSync profile will appear. ActiveSync profile configuration sets a new profile on the mobile device with the gateway properties. Once you finish the ActiveSync profile configuration, the mail will be synced into the native mail client. Check Mobile Access Blade policy, is user allowed? Check that ActiveSync is enabled in Capsule properties. Check ActiveSync configuration on SmartDashboard. Check configured authentication method\Port Number\ https? etc. Check connectivity between mobile device and gateway and ActiveSync server. 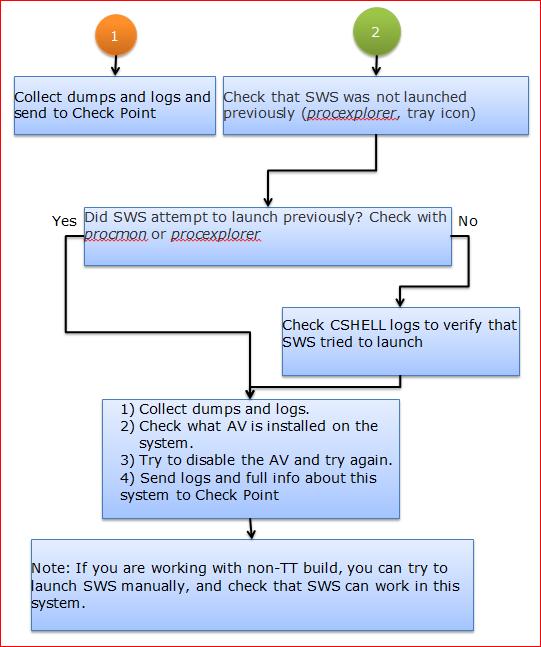 Check SmartLog for errors: could be failed authentication problem. (See R77 versions Mobile Access Administration Guide for more information). For example, the default value is domainName\UserName (for example, AD\user) and the ActiveSync server expects to get aa@AD. In Mobile Access Gateway R77.10 and lower, the user name is just user name. MAB session opens for each of the following clients: Portal, Capsule, ActiveSync. Each new session is identified in a Login log in SmartLog. Wait until you get the prompt back. For troubleshooting and debugging refer to sk110348 - Mobile Access Reverse Proxy. How to debug Mobile Access, SSL VPN? Change the "LogLevel" from "emerg" to "debug". Trace log is now collected for a specific user. IMPORTANT: Do not delete this log file! IMPORTANT: Do not delete the directory itself! Known Issue ID 00922556: Experiencing a gradual slowdown in Mobile Access Blade performance, and on the status page there are many processes with "G" status that cannot be actually found running on the Mobile Access Gateway. Refer to sk92847 - Mobile Access portal is occasionally unresponsive. It is recommended to enable the httpd debug every time you collect the cvpnd debug. Important: The cvpnrestart command will stop the cvpnd debug. So you need to initiate the httpd debug before the cvpnd debug. The debug of vpnd process is needed if there is a problem with SNX / SecureClient / EndpointConnect client. Make sure the logs are not corrupted by the log rotation issue. Read sk52120 (Log files can become corrupted when running debug of Check Point daemons on SecurePlatform / Gaia OS) about this issue. The cvpn process uses the cvpnproc process for asynchronous jobs that may take a long time to complete. This process is responsible for sending SMS, e-mails and access to files via file share. Currently, there is no easy way to collect the cvpnproc debugs. The only option is to start it in debug mode. The Pinger process was introduced in R75.40 and its main purpose is to reduce the number of httpd processes performing ActiveSync. By default, all ActiveSync traffic in Mobile Access Blade is done via the Pinger process. If you suspect the problem is in Pinger process, then try to disable it. Then, the regular httpd processes will handle the ActiveSync. Important: Since Jumbo Hotfix Accumulator for R77.30 Takes 2xx and R80.10, there are two 'Pinger' processes running on the gateway. One is simply called 'Pinger' and handles WebSocket and Outlook Anywhere traffic. The other is called 'IdlePinger' and handles OWA and ActiveSync 'push mail' functionality. All 'PingerAdmin' commands below remain the same for 'Pinger'. For 'IdlePinger', add the word 'idle' as the first argument of each 'PingerAdmin' command. Note: Do not delete the directory itself! Warning: This might print passwords to local files! Important Note: Debugging MAB in Unified Policy Mode also requires debugging cvpnd process. Make sure to empty the browser cache before starting the debug. Collect the same capture on a PC connected to the internal network (without Mobile Access Blade in the middle). The debug output file(s) will appear in %Temp%\IswTmp\Logs\ directory. Remove the variable "ISWLOG" from the list of "System variables". 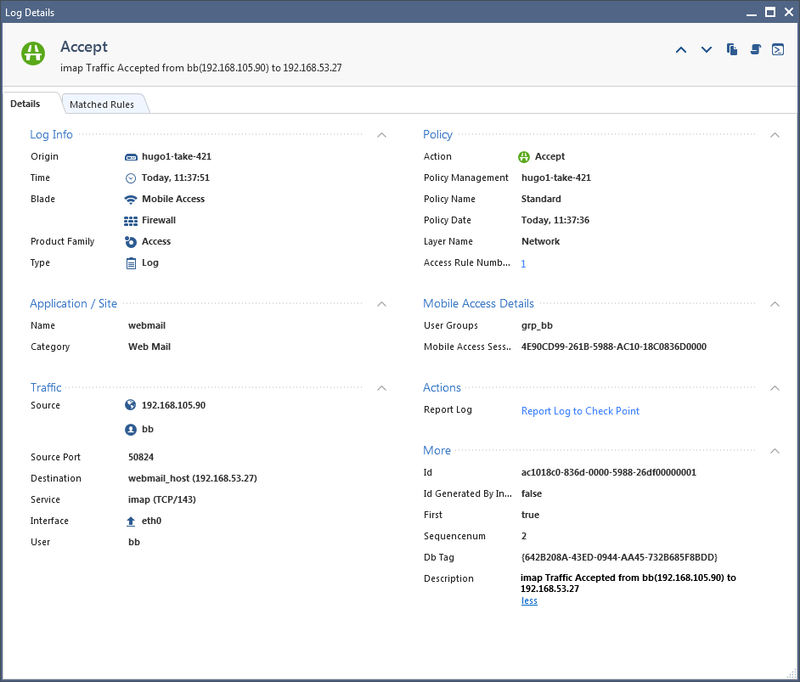 In order to fully debug an SNX session, debug output must be simultaneously enabled on the SNX client and Mobile Access Gateway before the issue is reproduced. The following are the instructions for enabled the debug for each side of the connection. Start the debug of vpnd process as described in the "Debugging the Gateway side - vpnd process" section above. In the "System variables" section, add a new variable with the name TDERROR_ALL_ALL and the value 5. This is needed if ActivX or Java component is not launched correctly by the portal. If dbg_level is missing, then create it (the type is "REG_DWORD"). Create it (the type is "REG_SZ"), if needed, and set its value to %temp%\CShell\SNXComponentsShell.log. Java is debugged according to the JVM installed on the client machine. Usually, the JVM is either Microsoft's or Oracle's. From Internet Explorer's main menu, go to Tools > Options > Advanced > Microsoft VM, and check all the Java debugging related checkboxes. Go to Start menu > Settings > Control Panel > Java > Advanced, and check all debugging related checkboxes (especially in Java Console and Debugging).